The Caldera Forms add-on for Easy Digital Downloads is designed to assist in providing support for products sold with Easy Digital Downloads Software Licensing. For example, CalderaWP products:) This processor is in use on our support form. Enable Easy Digital Downloads and Easy Digital Downloads Software Licensing. Sell one or more products that have licensing enabled. 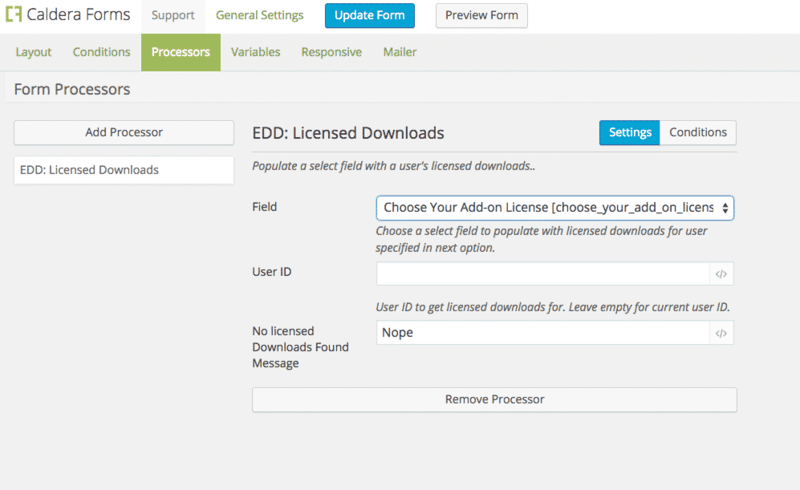 Add the Caldera Forms EDD processor to the form and bind it to the field created in step 4.